When you purchase from Gallery Home Furnishings, be confident that your new furniture or mattress is delivered and setup with the best of care. We use our own professional employees, trucks and equipment and do not work through a “delivery service”, which means greater flexibility and personal service for you! Please note that we are a local furniture company and don't typically ship outside our trading area. On rare occasions we may have an extra charge for unconventional delivery situations (i.e. second floor window, porch deliveries …), as the time and manpower required is greater than anticipated. If you need to ship outside our normal delivery zone or have special delivery circumstances, don't be afraid to ask. We will do our best to help. While our delivery crew is well experienced, please be sure delivery entryways are suitable to accommodate the furniture that you purchase and walkways are free and clear of ice and snow. Gallery Home Furnishings does not provide removal service. For your protection, we feel it is best not to put used furniture on our delivery trucks. 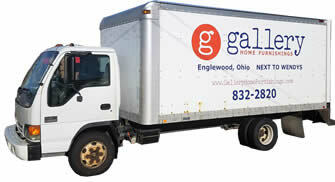 Gallery Home Furnishings will set-up your new furniture or mattress on all delivered purchases. Our delivery crew will place your furniture where you would like it with all furniture components in place (sorry, but we don’t install your personal electronics/televisions in any of our units as we prefer not to take the liability on them). We do not deliver in boxes or cartons. Every item is matched to your order, inspected for damages, and carefully wrapped in moving blankets and secured on our truck for delivery. If you have additional questions, please don't hesitate to ask. 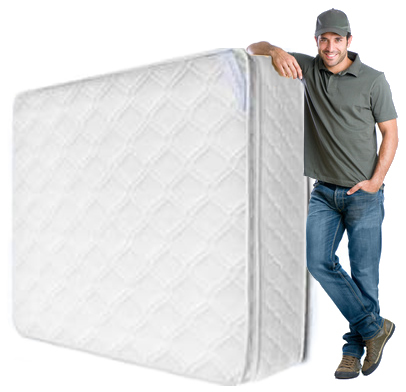 We want to make the purchase and delivery of your new furniture or bedding as easy and hassle free as possible.